HOW TO WIN AND PRIZE VALUE: Listen Monday – Thursday from 6am – 6pm for the cue to call at :40 min after the hour. Be the 10th caller when we tell you to call to win the prize. The prize won’t be awarded every hour, you must listen for the cue to call to know when to call in. The prizes may vary from day to day, or week to week. Winners will have a choice between 2 tickets to Merlefest good for anyday of the festival OR 2 tickets to the NHRA 4-Wide Nationals on 4/27. Merlefest tickets: $160 Value. NHRA tickets: $96 Value. Foothills Radio Group/WKVS KiCKS 103.3 assume no liability or responsibility in connection with the use of any prize awarded hereunder nor in connection with any warranty or representation therewith. Odds of winning the prize depend on the number of participants. PRIZE REDEMPTION/CLAIM/RELEASES: Winners will be notified via phone, U.S. mail and/or e-mail. No substitution of the prize or transfer of the prize to a third party is permitted and prize cannot be redeemed for cash value or exchanged for any other prize. All costs, fees, and expenses, not specifically included in the grand prize description are solely the responsibility of the prize winner. Winners must complete a signed affidavit of eligibility and liability/publicity release. To meet Federal Tax regulations, all winners must present their social security card, Photo ID, and are responsible for all taxes associated with the prize. Winner must pick up prize in person. All prizes must be redeemed from the station within 14 days of the contest end date unless otherwise stated in the contest’s official rules. Certain prizes are date specific (such as concerts and trips) and the winner must be available on the date specified. If a winner cannot be contacted or is disqualified for any reason, Foothills Radio Group/WKVS KiCKS 103.3 reserves the right to determine an alternate winner or not to award that winner’s prize, in its sole discretion. Prizes may be considered income and taxes on said prizes are solely the responsibility of the winner. The winner must fill out a W9 for all prizes valued at $100 or more. Any person winning over $600 in prizes from Foothills Radio Group/WKVS KiCKS 103.3 in compliance with all regulations is solely the responsibility of the winner. The winner, by acceptance of a prize, agrees to Foothills Radio Group/WKVS KiCKS 103.3, its sponsors, advertising and promotion agencies from any and all liability for claims, actions, or proceedings for injuries or damages sustained in connection with the receipt, ownership or use of the prize or while traveling to, preparing for or participating in any prize-related activity. 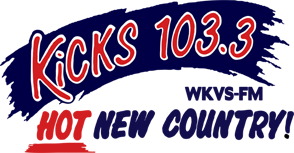 By playing the contest, or by winning, participants have awarded Foothills Radio Group/WKVS KiCKS 103.3 the right to publicize their name, photograph or likeness, voice and details both on air and on the industry website, and have accepted and agreed to comply with and be bound by these rules. By participating in the contest, the participant agrees that Foothills Radio Group/WKVS KiCKS 103.3 may disclose personal information obtained from participants in the contest to third parties and uses such information for marketing and other purposes. If the entry for the contest includes any creative material from the participant, including but not limited to, created content, the participant agrees that your disclosure is gratuitous, unsolicited, and without restriction. Foothills Radio Group/WKVS KiCKS 103.3 and contest sponsors are free to disclose the ideas on a non-confidential basis to anyone without any additional compensation to the participant. By submitting your entry, the participant verifies that you are the owner and producer of the submitted material and there is no third-party ownership rights that exist to any material submitted. 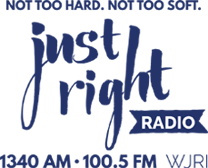 The participant also grants Foothills Radio Group/WKVS KiCKS 103.3 a non-exclusive and royalty free right to license and use, publish, reproduce, display, perform, adapt, modify, distribute, and promote in any form and in all media known for any purpose. ELIGIBILITY: Must be 18 or older to win. No purchase necessary. Void where prohibited. Must be a North Carolina Resident to participate. One qualifier per household. One qualifier per family. Only one entry per person. Winners will not be eligible if a prize has been awarded in the last 30 days from Foothills Radio Group/WKVS KiCKS 103.3. Each entrant can qualify for the grand prize drawing only once during the contest. Employees of Foothills Radio Group/WKVS KiCKS 103.3, their parent companies, agencies, subsidiaries, representatives, sponsors, affiliates, distributors, suppliers, and advertising, promotional agencies and their immediate families and employees of competing media companies are not eligible to participate. “Immediate Family” includes spouses, significant other, siblings, parents, children, grandparents, grandchildren, “in-laws” whether by current or past marriages, adoption, co-habitation, any other family extension, and any other person residing at the same household whether or not related. 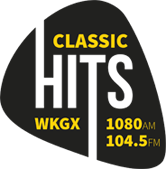 If a contestant receives multiple or irregular votes from a user, regardless of the source, Foothills Radio Group/WKVS KiCKS 103.3 reserves the right to disqualify the contestant. p Foothills Radio Group/WKVS KiCKS 103.3 reserves the right to disqualify in their sole discretion any entrant or entry if the contest rules are not followed. No groups, clubs, or organizations may participate in this contest, or reproduce or distribute any portion of these rules to its members. By participating in the contest, each participant and winner waives any and all claims of liability against Foothills Radio Group/WKVS KiCKS 103.3, its employees, contest sponsors, and their respective employees and agents, for any personal injury or loss which may occur from the participation in the Contest, or from any use of the prize. In order to receive the prize, participants must sign an official waiver provided by the company. LIABILITY: Foothills Radio Group/WKVS KiCKS 103.3 is not responsible for problems associated with television transmission, radio transmission, cable transmission, satellite transmission, phone lines, or the phone number for this contest that are beyond the control Foothills Radio Group/WKVS KiCKS 103.3. This includes, but it not limited to, a busy signal on the contest phone line, operator interference, internet connection or computer issues, cellular interference, technical or atmospheric conditions that disrupt the completion of the phone call or for technical difficulties which may prohibit the transmission of their television or radio signals to all or limited geographic areas during the playing of the contest. Foothills Radio Group/WKVS KiCKS 103.3 are not responsible for cancellations, postponements, or delays. For all contests, Foothills Radio Group/WKVS KiCKS 103.3 disclaims all liability for any delays, mis-delivery, loss, or failure in the delivery of any item sent by mail, courier, express, electronic, or any other delivery method. Foothills Radio Group/WKVS KiCKS 103.3 is not responsible for mechanical, technical, electrical, telephone, computer, hardware or software errors, malfunctions, or failures of any kind that may limit an online entrant’s ability to participate in the Contest, and any injury or damage to an entrant’s or any other person’s computer resulting from participating or downloading any information necessary to participate in the contest. This contest is no way sponsored, endorsed or administered by, or associated with Instagram/Twitter/Facebook/Snapchat. All decisions are made by the management of Foothills Radio Group/WKVS KiCKS 103.3 and are final. Foothills Radio Group/WKVS KiCKS 103.3 reserve the right to revise the rules. Official rules available at www.gofoothills.com and at the Foothills Radio Group studios at 827 Fairview Drive SW, Lenoir NC. Official rules supersede all other published editions.